This is a post about shorts. But it's about more than shorts. It's also sort of about how we expect girls to be a certain way and how we expect them to grow up to be women of a certain way. And it's also about how I hope we can help create some change. All these things have been on my mind with greater urgency since becoming a mother. But now I'm almost in panic mode because my daughter is 10. 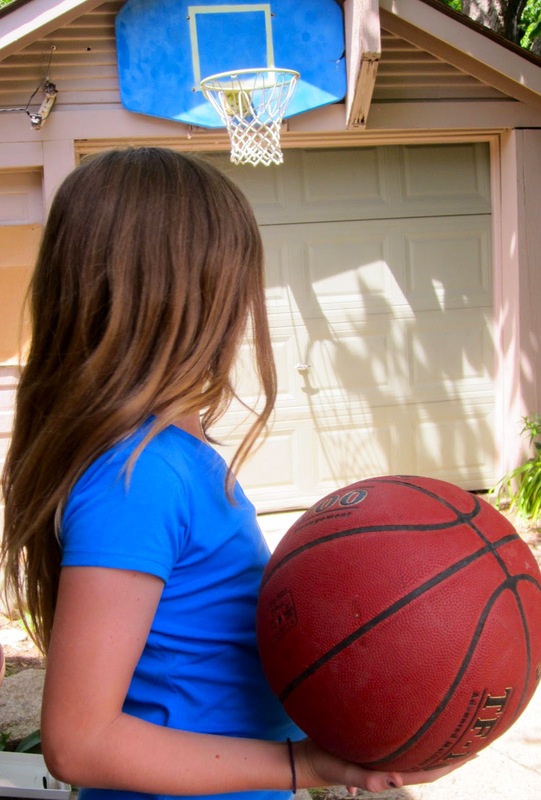 She is at that age when the experts say self-confidence starts "plummeting." She is at that age where she is paying closer attention and taking notes about how to act, what to wear, who is noticing and looking at her. It overwhelms me when I think about all the ways it can go wrong. I desperately want her to feel good in her own skin, respect herself and I want there to be no plummeting self-confidence ever. Last week I saw this amazing commercial from Always about fighting back against the phrase "like a girl." It is upsetting, strikes a nerve and makes you think. I showed it to Lucy. She was both upset and inspired. Some people that saw the ad were upset that it was from a company that sells pads. But seriously I think it's great. If companies are willing to use positive images and movements that celebrate empowering girls to sell things all I have to say is hallelujah and it's about damn time. What does any of this have to do with shorts? Well I showed the commercial to Tim. I want him to understand better, see things clearer as a father of a daughter about to go through a whole potential plummet. Shortly after I showed Tim the video we were out shopping together. We were getting a pair of shorts for Peyton and Lucy. We found a pair right away for Peyton, but it took a little bit longer to find the right shorts for Lucy. Every single pair of shorts in the girls' department was ultra short, pink, tight and a lot of them had bows on them. Every single pair was either inappropriate or looked uncomfortable. We went back to the boys' department to buy shorts for Lucy. We didn't find shorts that barely covered the boys' bottoms, nope the shorts were longer, loose fitting, easy to move around and play in. We paired Lucy's boy shorts with comfy T-shirts from the girls' department, but even that was a struggle to find something that didn't say "BFFs Forever" or have a picture of a cat on it. I am not knocking hearts, bows and cats. If your girl or boy loves them they should wear them. I am knocking the fact that there are so few options (if any) available for girls to be anything but short-shorts and pink. 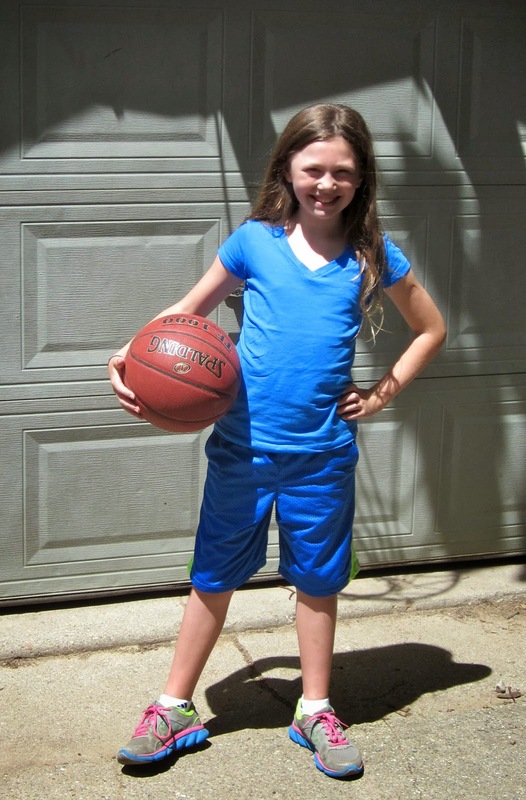 Lucy likes shorts that she can feel comfortable in playing soccer and basketball. Or exploring. Or running. Or sitting curled up with a book. Lucy loved her new shorts. What message are we sending to girls? 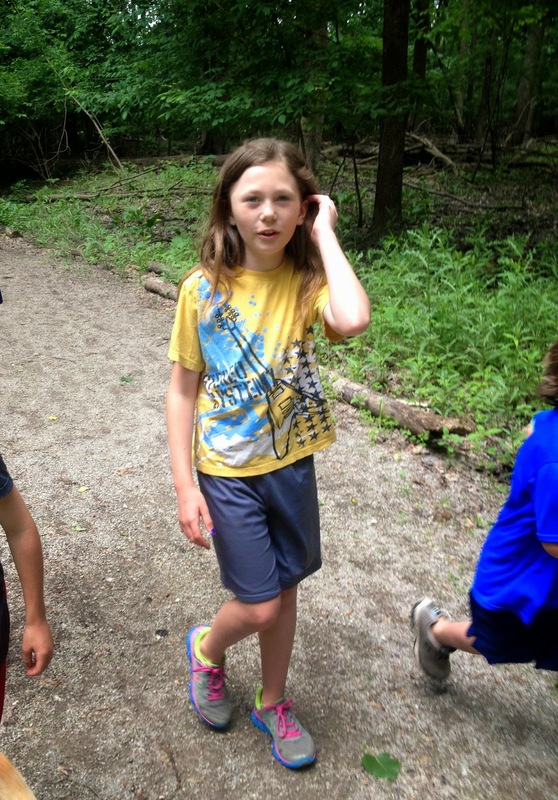 Short shorts, too tight to move, pink and frilly---those are the only ways to be a girl? Does that mean girls can't play, explore, run or sit comfortably? Are they that limited starting at 10, or younger? As someone who has found the whole comfort in my own skin later in life, I want to encourage it early in not just my daughter, but other people's daughters too. And my sons. 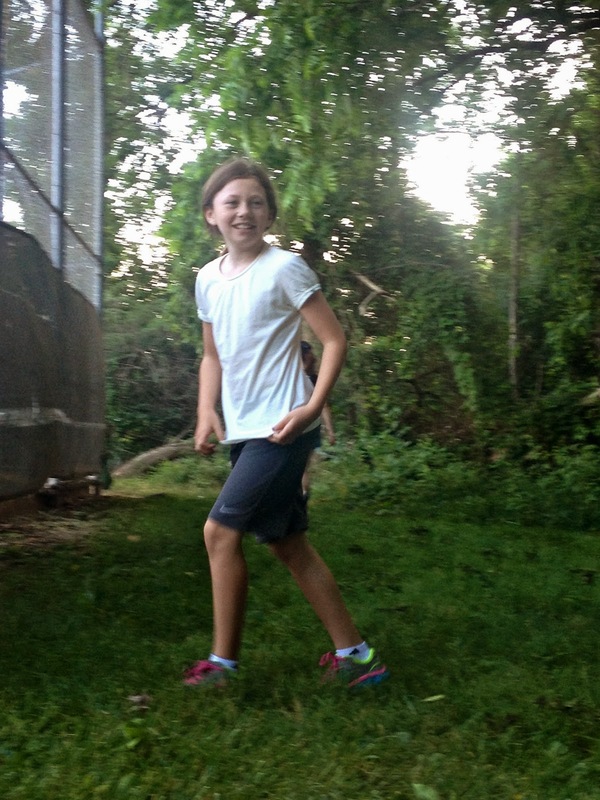 Here's to long shorts, self-expression, comfort, confidence, equality, playing and running and dancing and moving and feeling good. Here's to our girls having more options and opportunities to avoid the plummet. Shorts don't solve everything but it's a start. This company is pretty amazing. They are actually creating change in the marketplace for girls. Check them out--Girls Will Be. A to the freaking MEN. The options are so different for boys and girls; it's really insane. Abbey is still very into the pink and frilly stage, so that works in our house. But she doesn't really wear shorts. Most of them are so short she's more comfortable in a dress with bike shorts underneath, but I know that won't last forever! My girls would wear pink skorts every day if they could. But it's true....everything is short and tight! YES, thank you, Angela. I've never really had to think about this, because I thought I was always going to be a boy mom. So many issues now arise for me as I'm expecting this little girl this year, and frankly, I'm scared I'll screw it up. I'm scared society will beat me to it (it being, teaching my daughter what is and what isn't). We need messages like yours out there in the world. I think what's worse than only having inappropriate choices for girls is then to shame them when they choose what the world only offers them. Kudos to you for stepping outside the box and finding an alternative to the options that our society provides our girls.